The air is thick with vespa smoke, incredible architecture and a sweet smell of pastries that just haunts you on every street corner. This is the Naples that I was hoping to meet. 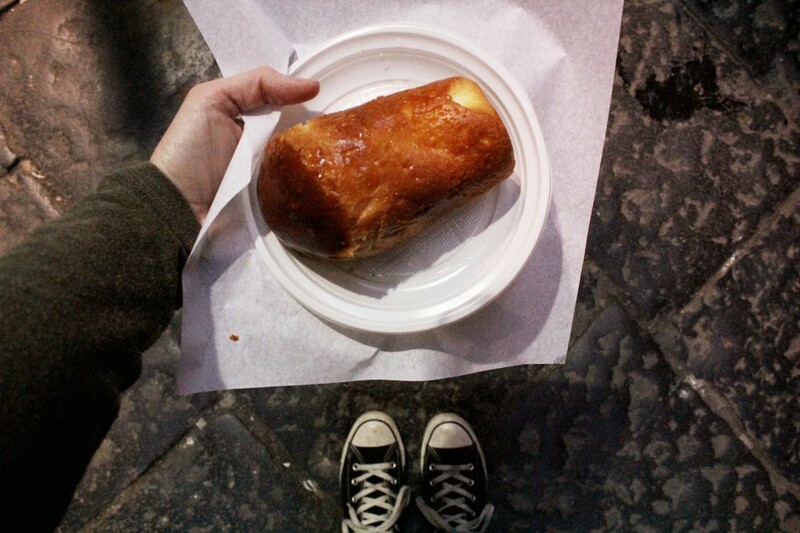 One step in and I could feel the underlining static pulsate through the streets of Naples, a city I’ve wanted to experience since moving to Florence. After hearing how dangerous the city is (or is it? ), I arrived prepared with no diamonds dripping from my ears but rather a clunky Canon and iPad mini that clearly call attention. 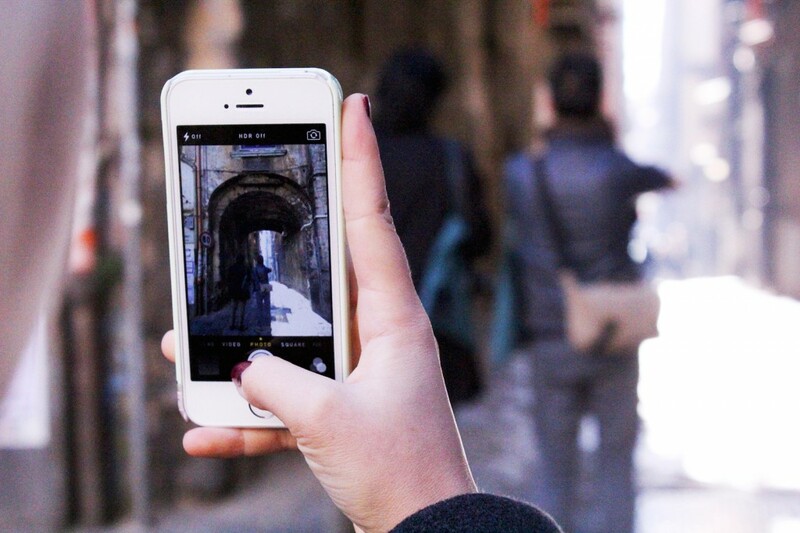 Naples is like any main city—you shouldn’t leave your wallet on a counter or wear all your valuables all on one day. A part of me doesn’t want to believe the crime rumors I’ve read and heard about, but another part of me can feel that there’s this grit, a heat on the streets. The city’s intoxicating and although I wouldn’t move there, I can see why some Americans love calling it home. 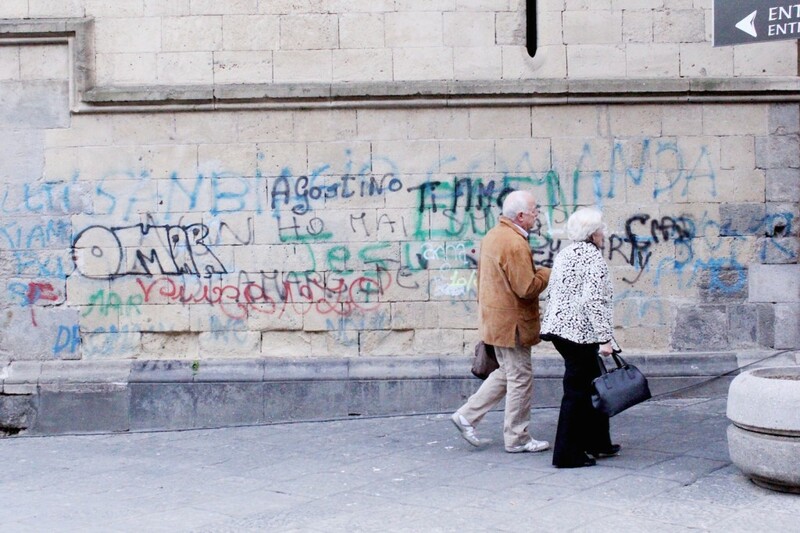 Everything seems beat-up—there’s even graffiti on garbage cans and Baroque churches. Yet, the dirt and grime are not a turnoff; they’re alluring and part of the charm. It’s an Italy that not everyone gets to see and should be added to the typical list of: Florence, Rome and Venice. 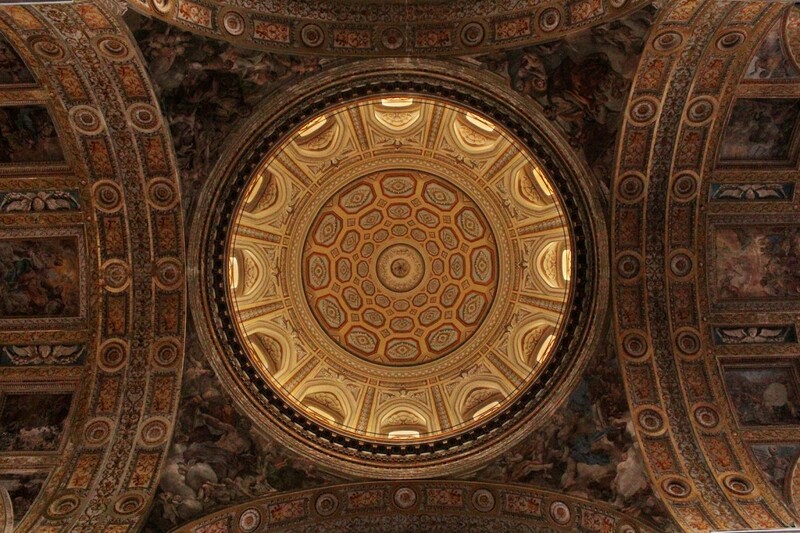 Naples has a heartbeat that started way before the Renaissance and the Romans… which leads us to its underground cities. 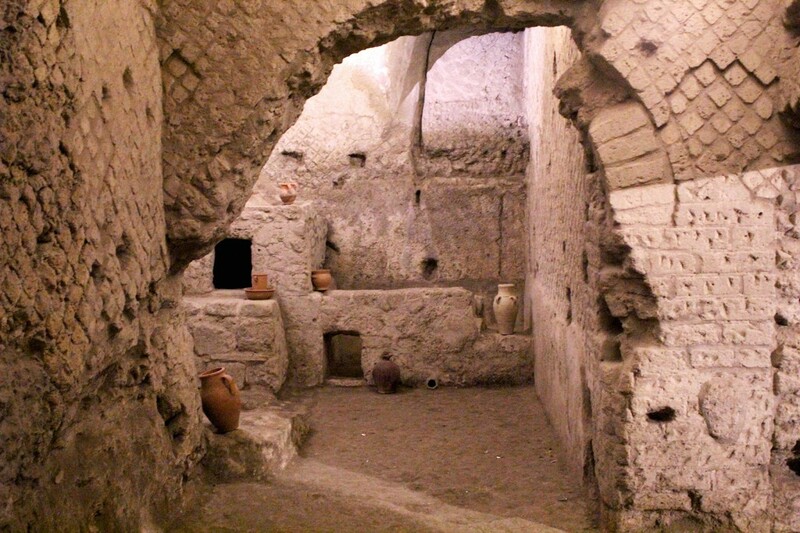 I was lucky enough to investigate the Subterranean Naples that makes up 80 kilometers of a city dating back to 470 B.C. that’s now 40 meters underground. For the Greeks it was Neopolis, meaning New City and for the Romans it was the perfect site for underground aqueducts and catacombs. What is now an underground museum was also used as a bombing shelter during WWII. The city has more depth than one would think. 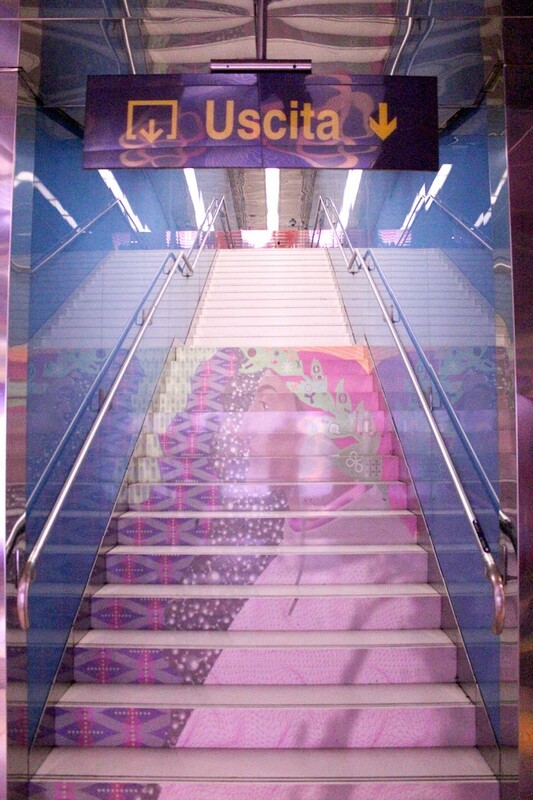 A more modern twist of life underground is the very trippy metro system. 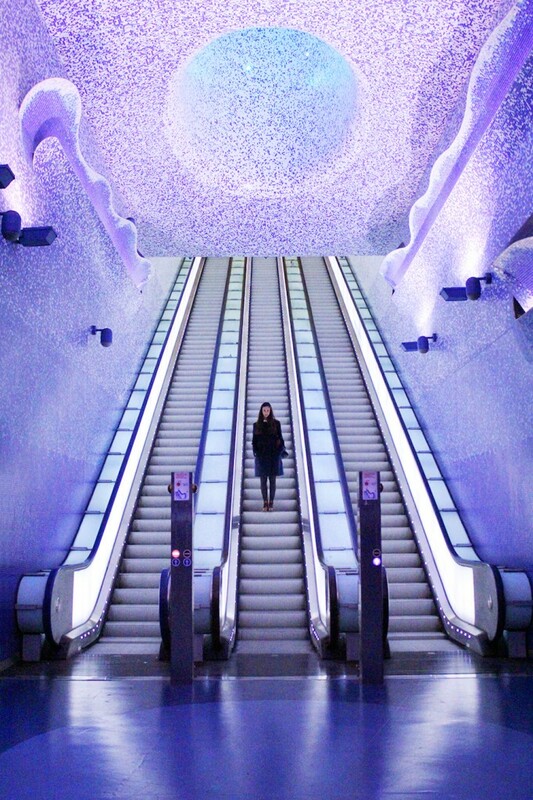 The second day of visiting Naples I toured the crazy, psychedelic, space-like world of a metro system. Imagine it more as a museum, so if you aren’t into churches or galleries, then at least buy a metro ticket for 1.30€ and hop on and off each metro stop for some inspiration. Mainly funded by the European Union, it’s a brilliant way to attract more locals and deter them from adding to the already congested streets above ground. The list of artist is predominantly Italian, many from Naples, but the roster also includes brilliant minds from around the world, like Katharina Sieverding and Sol LeWitt. 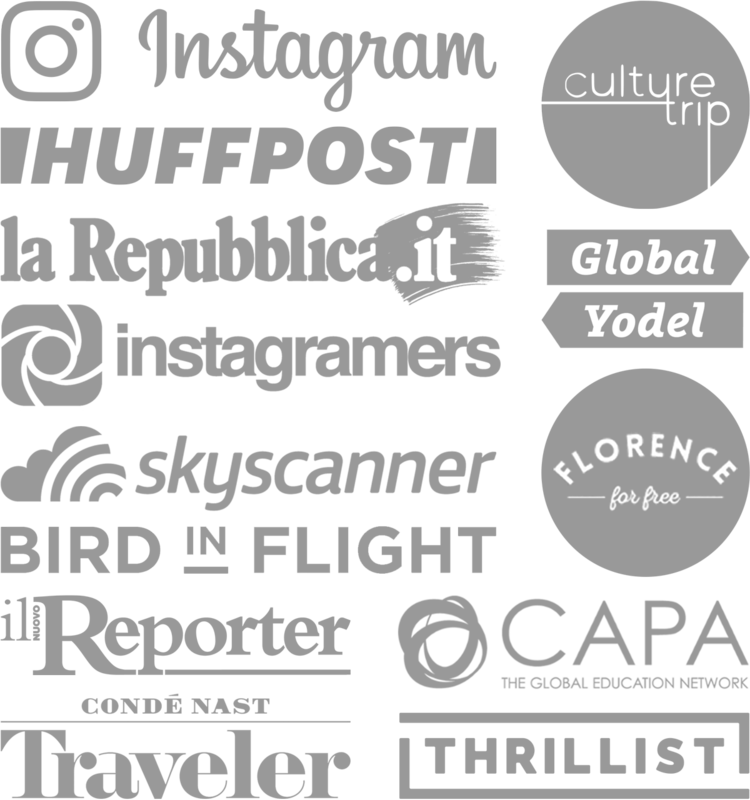 Although my stay in Naples was only three days I saw a lot thanks to Antonio from Instagramers Italia. He hosted me with a great group of fellow Instagramers from Italy. Unforgettable! 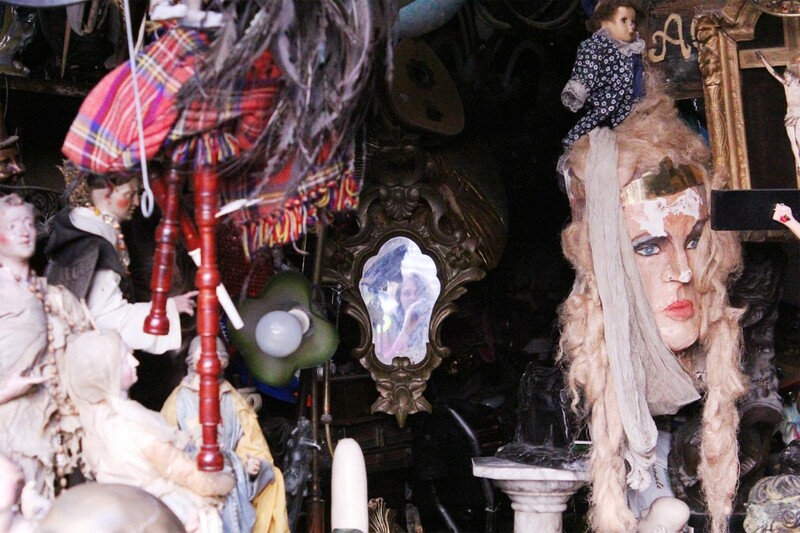 Don’t miss this list of 15 Things To Do In Naples to see all the great things to check out. 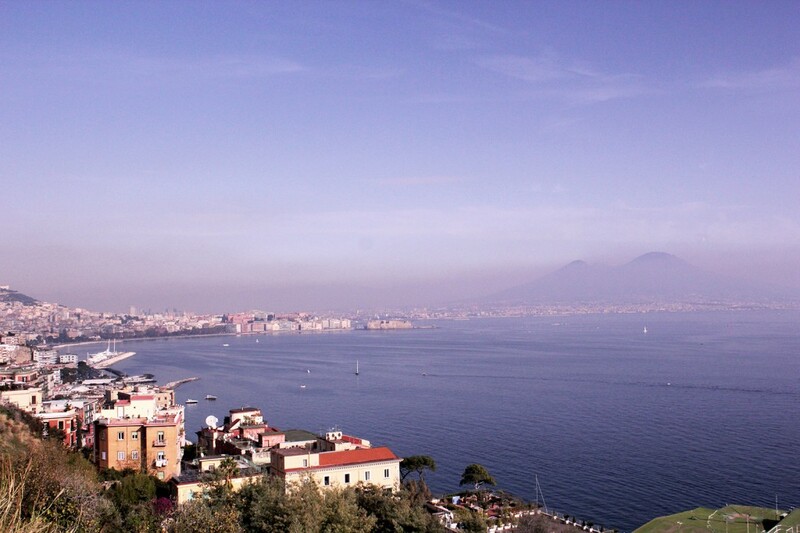 What do you think, will you ever visit Naples? Please share this post and pin those pics! Why Am I In Florence During Ferragosto!? Tiana, I really like Naples. It has its gritty side, but I especially love the waterfront and the evening stroll. The underground is amazing! Thank you for an informative post. Thanks Susan, I loved the waterfront as well…so many great sections of the city to visit! There’s lots to see, I could have easily stayed a week! 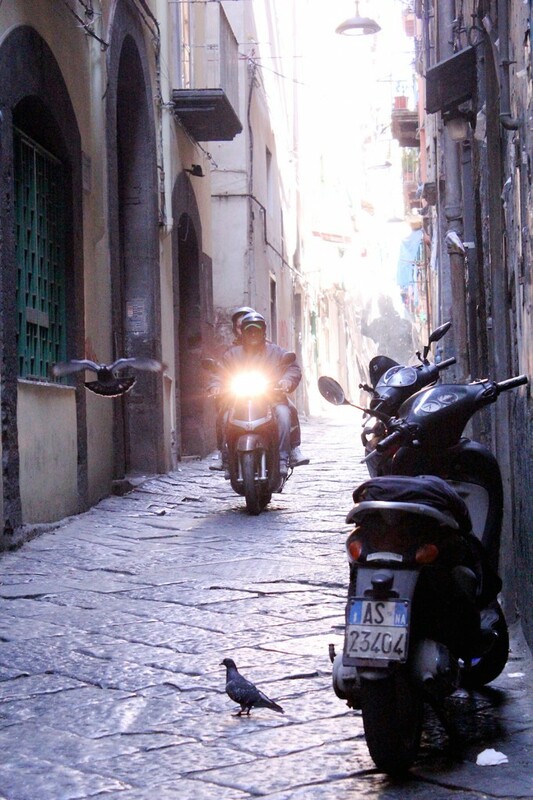 Naples was interesting, but it’s really dangerous… and you can feel that on every corner. It’s a really cool feature that adds a lot to the city. I agree, it was an amazing trip! 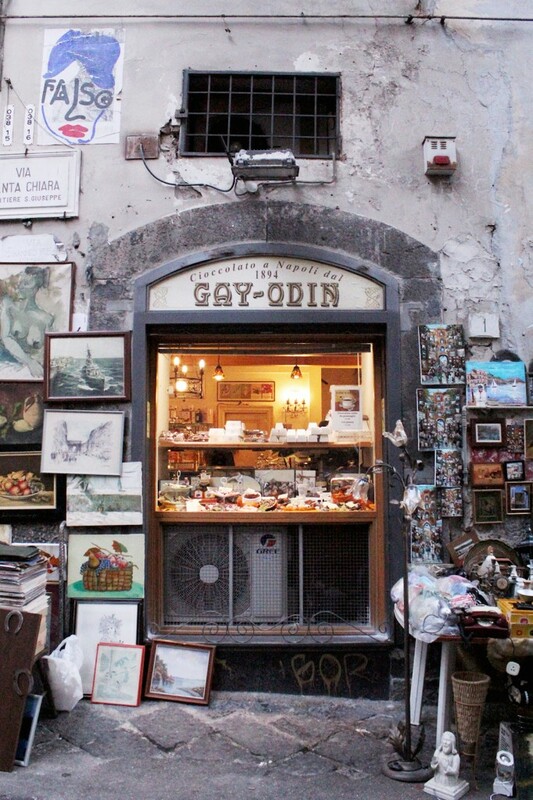 Naples has so much character that sets it apart from the rest of Italy, in a good way. I hope more tourists add it into their itinerary, even other Italians!